Wanniyal-aetto elders Suddu Bandiya and Taepal Bandiya led a delegation to Colombo to testify about injustices to their people. 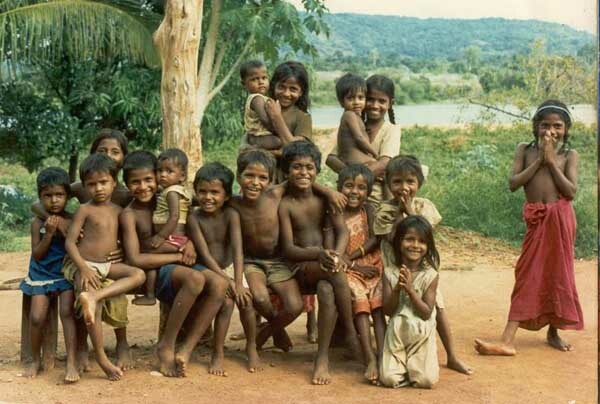 A field study conducted in 1992 by a specialist in indigenous development policy from the International Labour Organisation succinctly summarized the plight of the Wanniya-laeto with respect to current development policy in Sri Lanka. According to the existing studies, the majority of the resettled Veddhas are economically backward, socially isolated, and politically marginalised. The Veddhas did not have the skills, means and knowledge needed to either adjust to the new situation (no knowledge of capital accumulation or savings, no familiarity with the monetary system of exchange, no long-term involvement in agriculture as a livelihood, lack of incentive for competitive tasks, etc. ), or to cope with the other non-Veddha settlers. 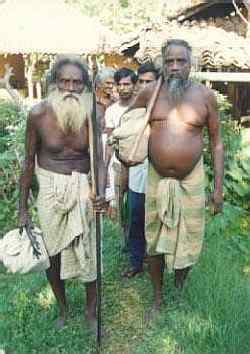 As a result, they are being exploited by the other settlers who have control over the local political institutions and economic opportunities; in several cases attempts to get the Veddhas used to seasonal paddy cultivation have failed, thus worsening severely their livelihood since they do not resort any longer to hunting or food gathering.